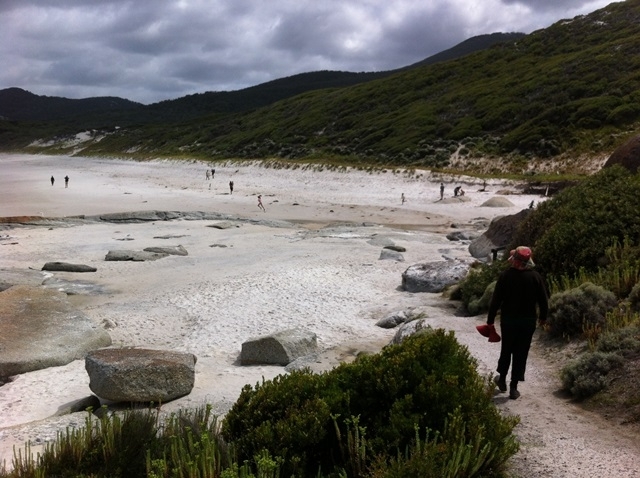 This is one of the most popular walks in Wilsons Promontory. 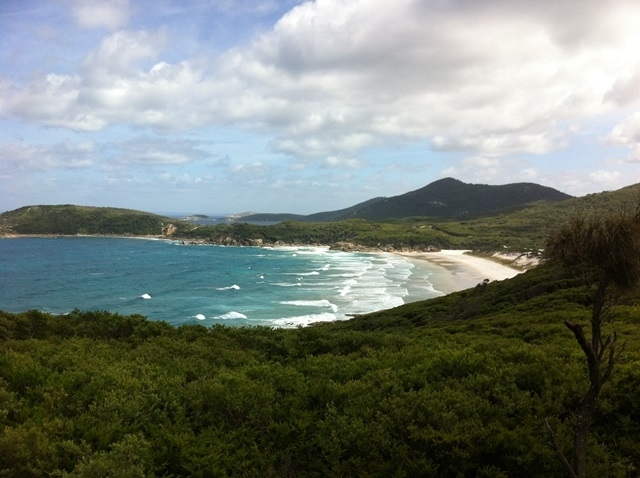 Starts at Tidal River and passes over the ridge separating Norman Bay to Squeaky Beach at Leonard Bay. This is a great walk. 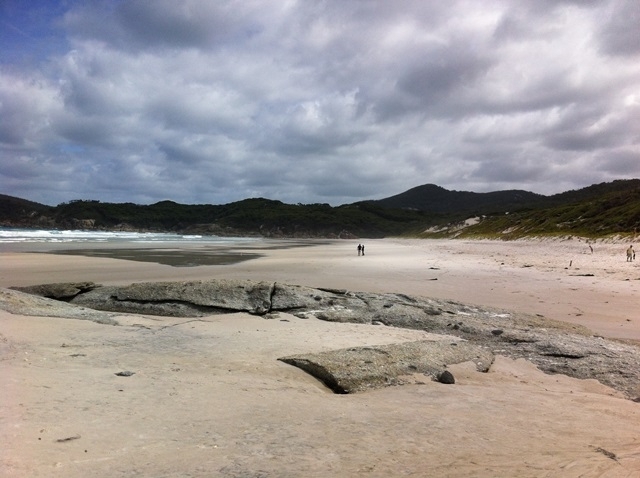 As its name suggests, Squeaky Beach, squeaks when walked on. This is due to the ultra-fine quartz sand particles, all of which are the same size and shape. 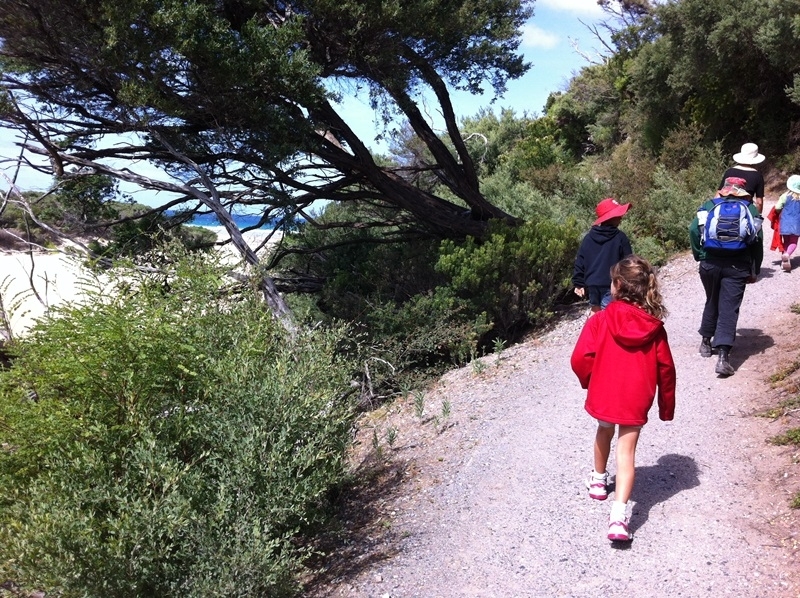 The beach is very popular among children as it has many large rocks that can be climbed. The sea, however, is very rough and often full of rips. 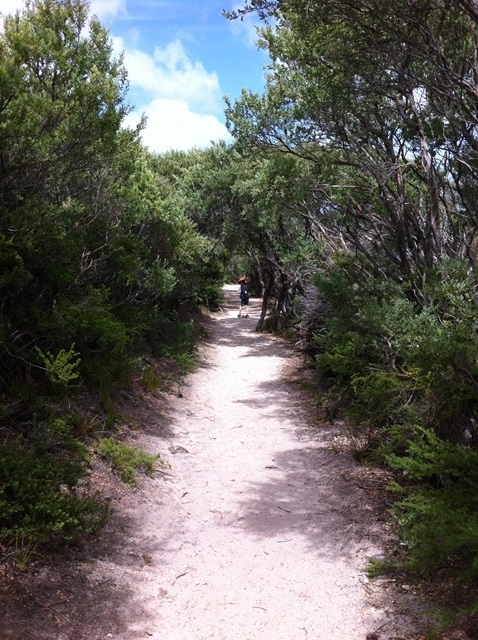 The track is generally in good condition and wanders through the bush. 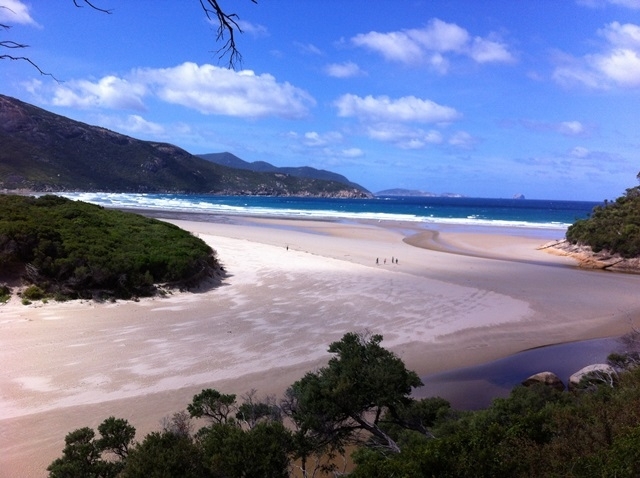 It is 6 km return from Tidal river to the end of Squeaky Beach. You needed to have crossed this wonderful bridge to have started the walk. On hot days you often see people jumping off the bridge or paddlers going under it. The track is quite well maintained and mostly is quite a gentle climb. 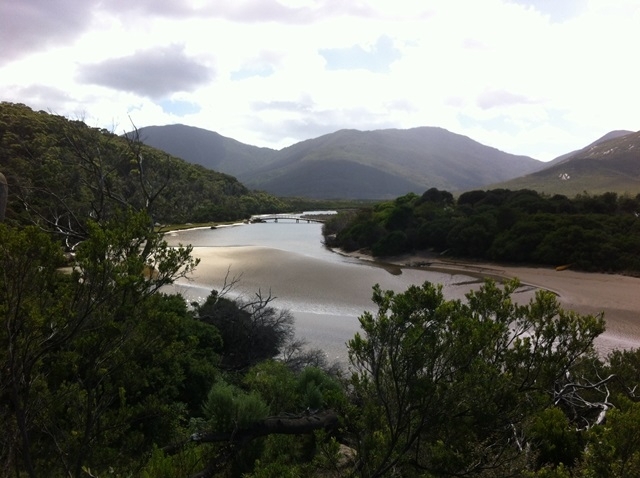 I love the view down to Tidal River, you can see them but them not you. 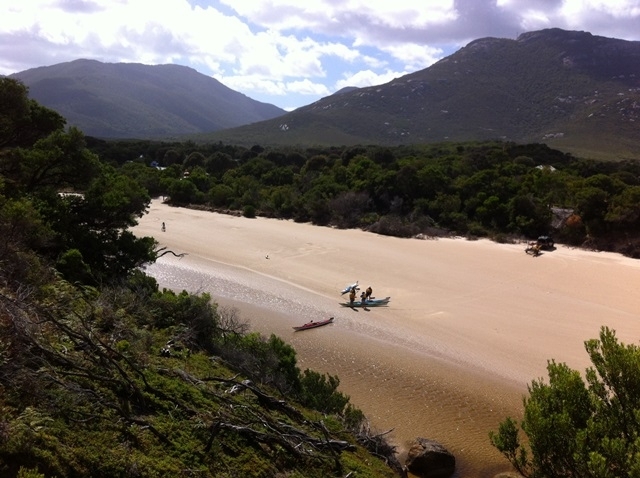 Norman Bay would have to be one of the best walking and playing beaches in Victoria, also great for swimming. 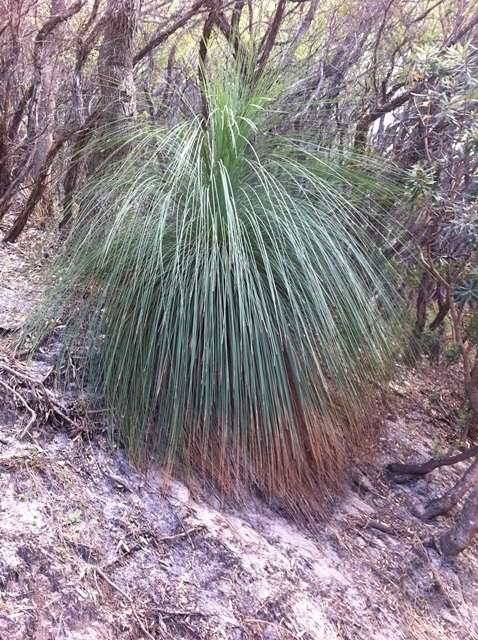 There are a lot of Grass Trees (Xanthorrhoea) around Wilsons Prom, bit only a few on this walk and this one is a beauty. It is worth the short deviation off the track see the views from Tidal Overlook. 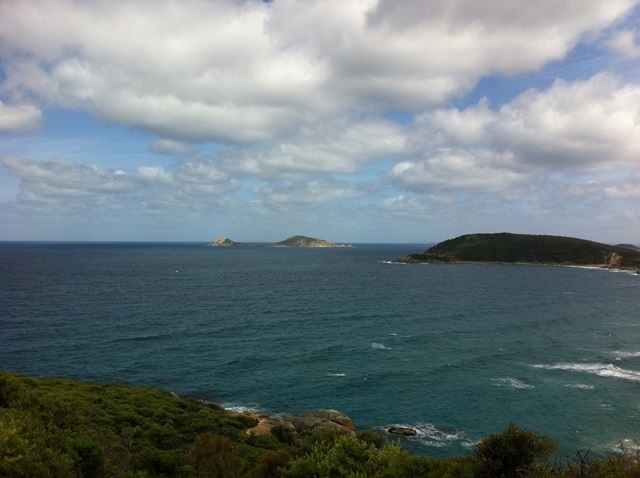 There is a rock just off the path with a great view of Squeeky and out to see. 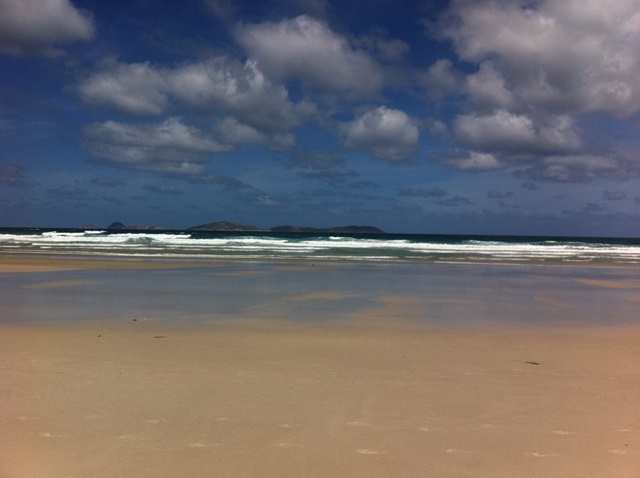 Could sit here all day looking out to sea. The track appears like a shady tunnel. 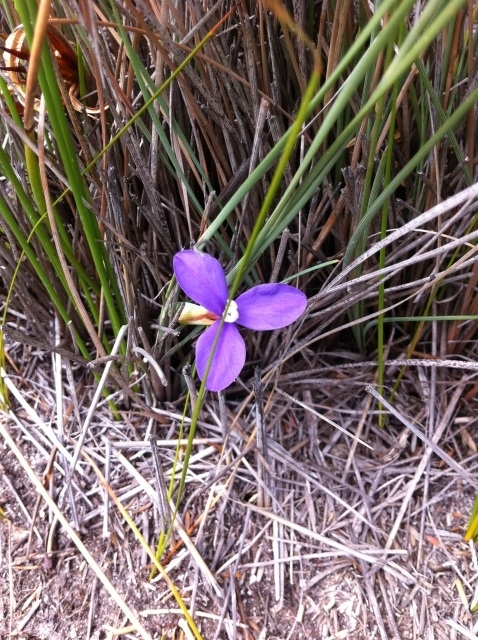 Look out for wildflowers, like this little gem peaking up at you. 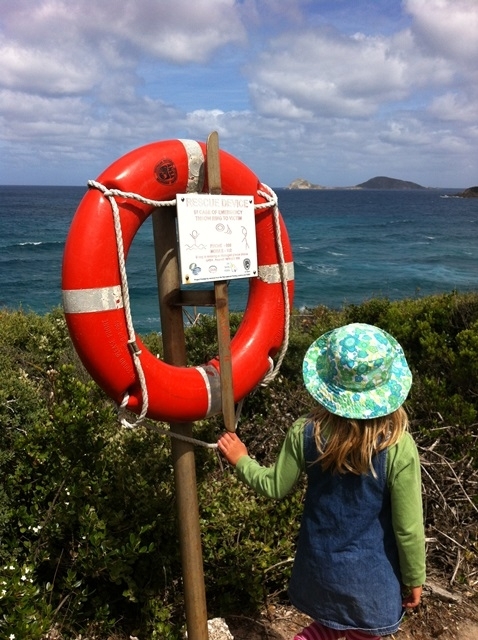 The life ring is there in case people fall off the rocks. Be careful, two young people drowned there in 1988. Best to keep to the path and you will be OK. 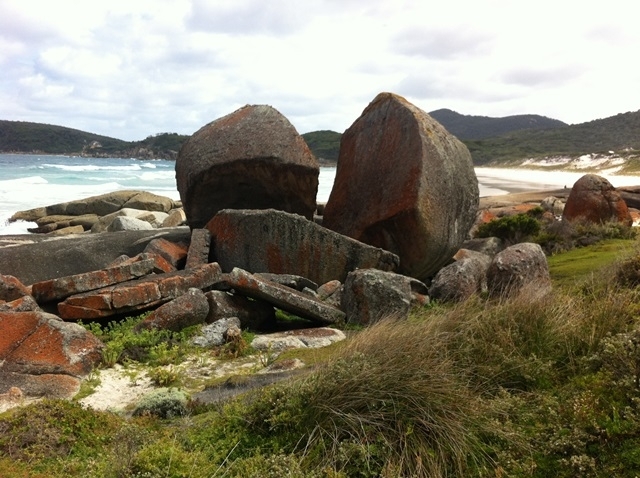 These rocks are like a sculpture and the colour seems to change with the seasons. Don't forget to squeak when you walk! Time for a dip? 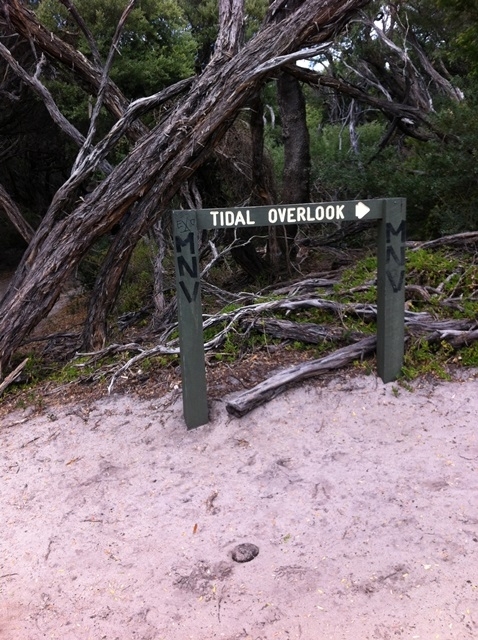 But be careful, it is not a patrolled beach.